How Much Does Freemasonry Cost? Just the joining fee and then an annual fee each year. These vary from lodge to lodge. London lodges tend to be more expensive than regional lodges due to increased operating costs, primarily of dining and venue hire. For example Certes Lodge 4606 costs £230 a year. This includes the cost of 4 meetings per year and then a three course meal and wine after each one (known as the Festive Board). We feel that this is very good value. There is a one off joining fee which is to take care of the admin required from United Grand Lodge of England. You will also need to purchase the correct regalia but this can be bought for around £30 and will last a lifetime. It can be bought via Certes, at various Masonic retailers, or even on eBay. The second part is that as well as the above, Freemasonry will cost you as much as you want! The reason we say that is that there are numerous opportunities, none of them compulsory, to contribute to charity when you become a Freemason. Alms are collected at each meeting, as well as occasional charity collections. Most Freemasons contribute to these charity collections, some a lot, and some just what they can afford. No one is judged by the size of their contribution as all are private. Also, whilst not compulsory, at most lodge meetings there are ample opportunities to buy other members a drink!. Again this isn’t compulsory, and wine is included in the annual cost discussed above. We hold a charity raffle at each meeting, again not compulsory, but we do have some excellent prizes! Occasionally Certes Lodge 4606 holds a social event that may come with additional cost, or a Ladies Night dinner. Both of these are not compulsory to attend, but are excellent events and always great fun. 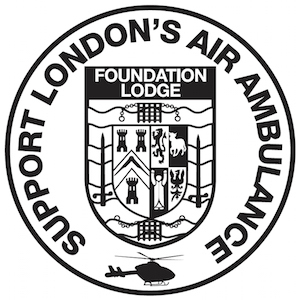 Finally when attending Lodge of Improvement, a very small contribution is expected to cover running costs. This is currently just £2 a meeting. So How much does Freemasonry cost? The answer is your annual fees, and then however much you want to contribute to charity. Freemasonry is very affordable considering the benefits of joining. ← Why Become a Freemason?